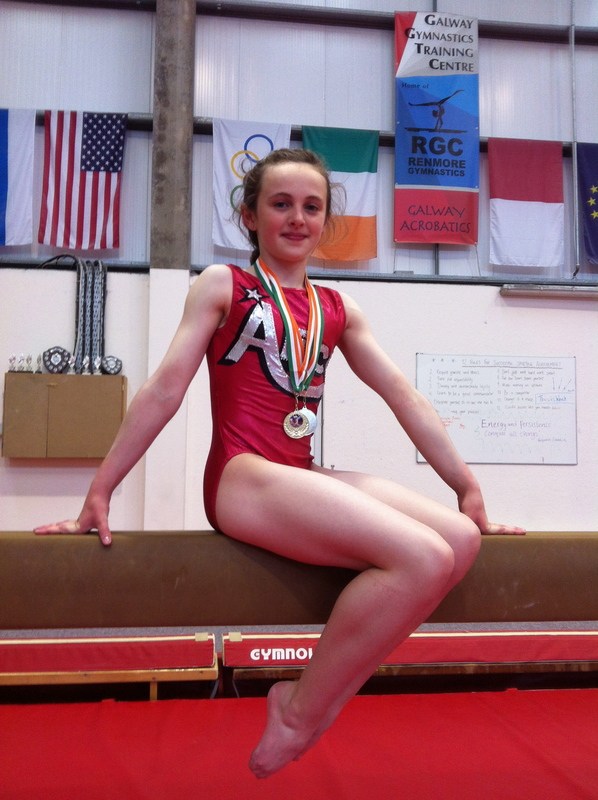 Alice Fitzpatrick receiving her Level 9 Bar-gold and Vault-silver medals after brilliant performances at the FIG Apparatus Championships & Level 8-10 Apparatus Finals 2012 in Dublin last month. Previous postEllen Hynes Interviewed on The Couch Gymnast! Next postMeet the RGC Petite Elites! Well done Alice! Keep it up RGC!